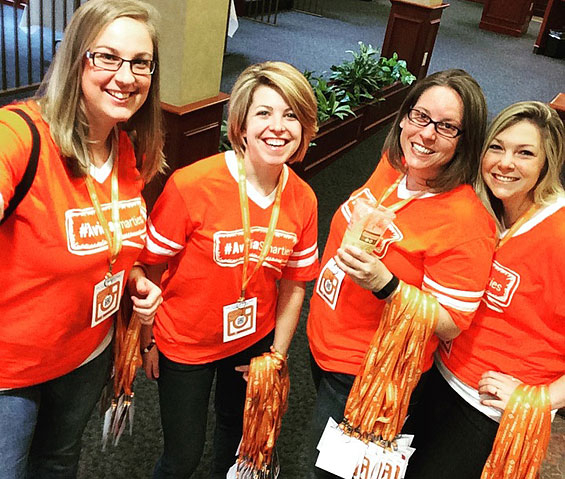 A social squad can expand your institution's reach and humanize your brand, but don’t limit "social" to just online. 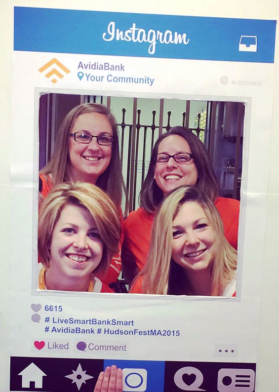 Avidia Bank's squad of brand ambassadors take social to the streets. 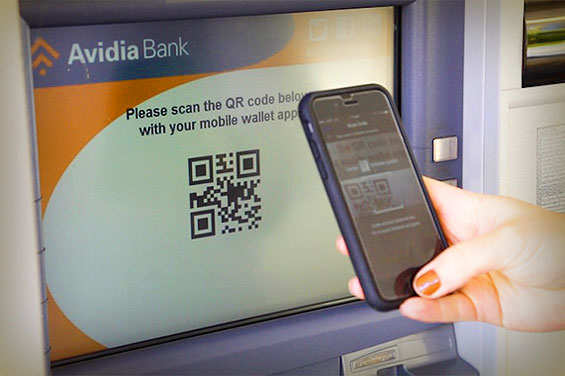 Avidia Bank has figured out how to drive business by being social. 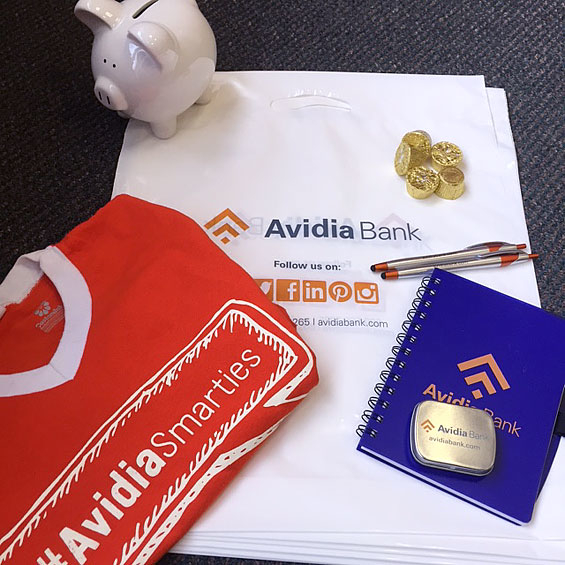 They are called the Avidia Smarties, brand ambassadors who represent the bank both online in social media channels and offline — in real life. 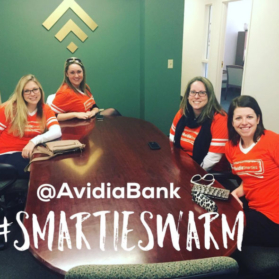 Launched last year, the ‘Smarties’ are now a team of 10 employees, selected from Avidia’s various branches and departments for their tech and social savviness, has been steadily growing the brand love for the $1.2 billion bank headquartered in Hudson, Mass. Katelin Cwieka, marketing specialist at Avidia, believes that having real personalities respond on behalf of the bank helps humanize the bank’s brand. Collectively, the team has connected with more than 6,275 people across Facebook, Twitter and Instagram. Going beyond just follower counts, marketing also tracks engagement and brand recognition. Cwieka says they quantify “engagement” as a cumulative measurement of hashtags, frequency of retweets, mentions, questions, comments and other interactions. According to Hootsuite research, there is 8x more engagement with content shared in social channels by employees than with typical “brand content” with a corporate voice. Financial education and literacy is a main focus of the program. Twice a month, a “Smartie Update” including helpful webinars, tips for managing their posts, and notice of the latest content additions is emailed to customers. Then each week, Avidia reviews analytics reports about the Smarties’ online activities and feedback from their efforts as brand ambassadors in the real world. What resonated with customers and in the community? Before becoming official brand ambassadors, potential candidates are screened by the #ExecutiveSmartie leaders. Only after an application review, thorough interview, background check, and the signing of the Avidia Smartie contract, can they become an official Avidia Smartie. Those selected are required to complete the Hootsuite University social media training program. The course covers everything from compliance to best social media practices across various platforms. Initiation into the Smarties’ team also includes a thorough overview of the bank’s social media policies, as well as separate, more detailed social media training offering specific guidance on the do’s and don’ts of crafting and posting content. Once a Smartie has been Hootsuite certified, these brand advocates are equipped with a Smartie survival kit complete with company handle, t-shirt, selfie stick, mobile phone holder, back-up chargers, Smarties candies and Avidia’s mascot — a white piggybank named Max McNickel. 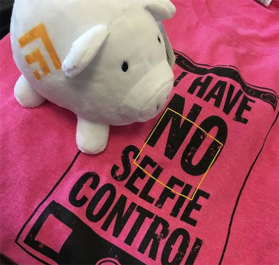 Max accompanies Avidia Smarties to events, and even shares his adventures on the @BankSmartMax Twitter and Instagram pages. “He’s quite the ham,” says Cwieka. Team members are encouraged to be personable and active on their preferred network. They meet monthly to brainstorm about new ways to engage with their communities both on and offline. Cwieka said interest in the #AvidiaLife continues to grow as the ambassadors share their experiences. Whether it’s an Instagram takeover or an impromptu #SmartieSwarm, where they meet up at a local business to create a social media buzz, the #AvidiaSmarties are well received. Avidia says its program has instilled employees with both a sense of advocacy and pride — a big morale boost. This isn’t surprising considering that research has shown that employees who are tapped as “brand ambassadors” report feeling more inspired and have greater job satisfaction — a self-reinforcing feedback loop. Some of the Smarties have started to become genuine local personalities with a modicum of fame. They are increasingly being recruited to help promote and raise awareness of area businesses and charitable organizations. Smarties have also been an internal resource for the bank’s leadership team, providing valuable insights into product releases, app enhancements, and marketing efforts. Recognizing that compliance is everything, McIlwian at Hootsuite stressed the importance of education on how to communicate in this digital world. That’s why Avidia Bank employs Hootsuite tools and technology such as Proofpoint. 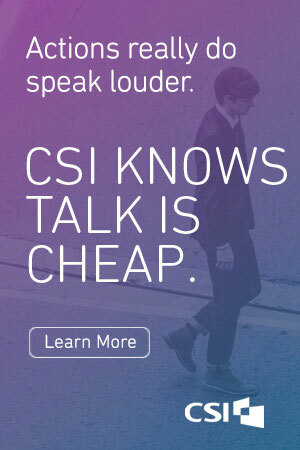 With Proofpoint, any non-compliant messages or commentary will trigger a warning and enable the team to respond quickly. Cwieka at Avidia says brand risks monitored range from mentions of competitors to compliance violations and security risks — e.g., malware and phishing links. The team has access to the bank’s central content library, which includes articles and product campaigns already vetted by compliance. The Avidia Smarties also submit whatever interesting, relevant articles or blogs on financial literacy or banking trends they find to be added to the library. Cwieka said the automated filter is just another tool in the ambassadors’ social media kit. When questionable content is flagged, Smarties receive a compliance notice and an opportunity to review, revise and resubmit. “We provide a lot of ongoing training about sharing what people value in their personal and professional lives,” Cwieka said. Because Avidia’s Smarties come from different areas of the bank, they are able to answer questions from a wide variety of areas, including digital banking and payment technology. The launch of the bank’s Cardless Cash mobile app provided the perfect opportunity to explore the effectiveness of leveraging the Smarties as part of a comprehensive digital campaign strategy. The Cardless Cash app allows customers to withdraw money from ATMs and branch locations directly from their smartphone. Not only is the transaction time reduced from one minute to 10 seconds, but because no card data is transferred, the user-friendly app also reduces the risk of security and fraud issues. 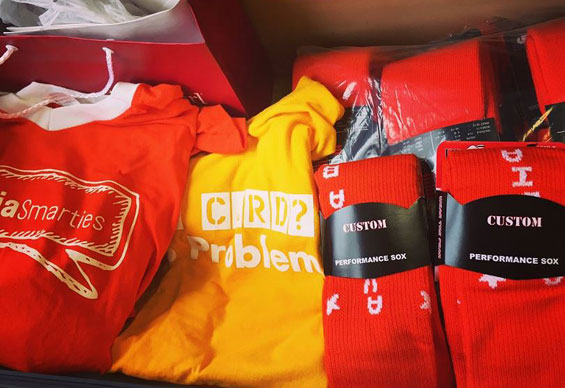 The social media-first driven marketing strategy included some supportive traditional marketing, such as in-branch posters, signage, and swag t-shirts featuring download app codes. Smarties also took to Periscope providing a behind-the-scenes sneak peek with an ATM vs. mobile app showdown demonstrating the difference in time and convenience. After the official launch, the Smarties continued to use Periscope to host live Q&A sessions giving viewers the opportunity to get answers to all their #CardlessCash questions. The social media strategy focused on measuring organic growth, using some influencer targeting but no paid ads. Using Hootsuite, they found social media influencers in financial services and reached out to them directly to let them know about the campaign. Streams created to monitor #CardlessCash, brand mentions, industry conversations, and general news made tracking the effectiveness of the campaign easy. According to Cwieka, one teaser post alone had 2,303 impressions and a 10.13% engagement rate compared to the typical social media engagement rate of some three percent. Within a few months, Avidia doubled its Twitter followers, and saw a 10% growth in Facebook followers. Sentiment around the campaign was 83%. From the time of the Cardless Cash launch in July 2015 to September 2015, Avidia Bank’s Twitter engagement experienced an overall 101.3% boost. More importantly, since introducing Cardless Cash, mobile app enrollments increased 13%. Looking ahead, plans include exploring more live streaming opportunities on platforms like Blab or Snapchat. “We’d also like Smarties to provide internal training, which would be available for all Avidia Bank employees on creating and managing a personal brand online,” Cwieka said. This article was originally published on July 13, 2016 . All content © 2019 by The Financial Brand and may not be reproduced by any means without permission.